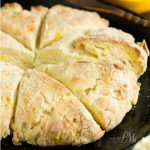 Buttery and flaky these homemade Cheesy Ham buttermilk biscuits are adorned with ham and cheddar cheese. Seriously amazing! 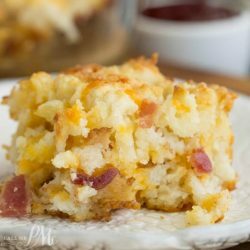 This southern style breakfast of homemade biscuits with country ham and gooey cheese is the perfect hearty breakfast! 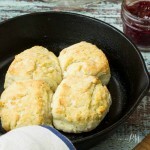 These biscuits are buttery, savory, and a well-deserved treat! In my family, it’s a rare event when everyone likes the same food. We all like Mexican food, pizza, pancakes, and biscuits. Literally, I think that’s all. 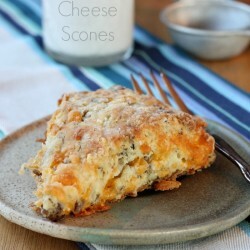 Therefore, consider my astonishment when I made these biscuits primarily for the blog and the kids went nuts for them. I knew Big Daddy and I would like them, but never would I have thought my oldest son would like them. The entire family raved about them and requested them for breakfast on school mornings. Since I’ve been having such a difficult time recently getting up, that will be a challenge. But, one I’m willing to make. I wanted to stop at one, but I could not put them down. The boys were the same way. In fact, I asked them to save Big Daddy two since he wasn’t there when I made them. Do you know what? I heated them up for him that night and they were just as good as reheated as they were initially. 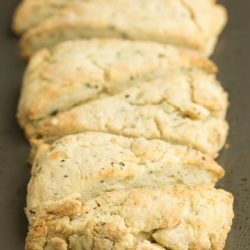 I used 2 ounces of cream cheese in this recipe. Place your cream cheese in the freezer for 30 minutes before cubing it. It will cut much easier. I used a cheddar/Colby cheese mix. 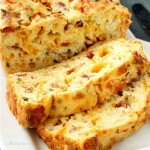 You can use your favorite cheese or whatever you have on hand. 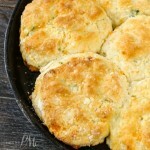 I brushed to top of my Cheesy Ham Buttermilk Biscuits with butter, but I’ll be honest, it really didn’t need it. The dough is thick. I fold it instead of kneading it. 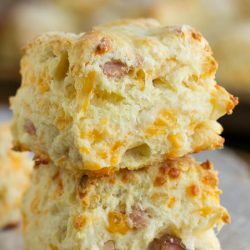 This gives the biscuits those beautiful, much-desired layers. Use real butter, I do not recommend margarine or butter substitutes. haring this recipe with other at The Country Cook and Southern Bite. 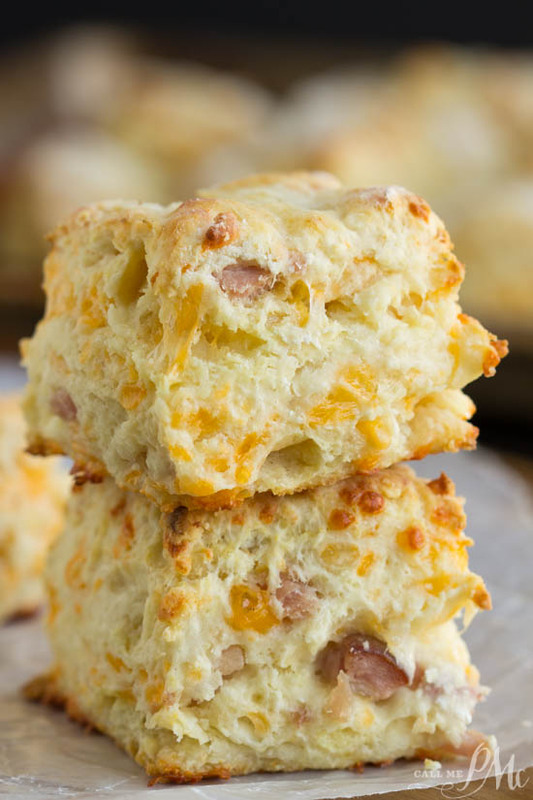 Cheesy Ham buttermilk biscuits are studded with ham and cheese. 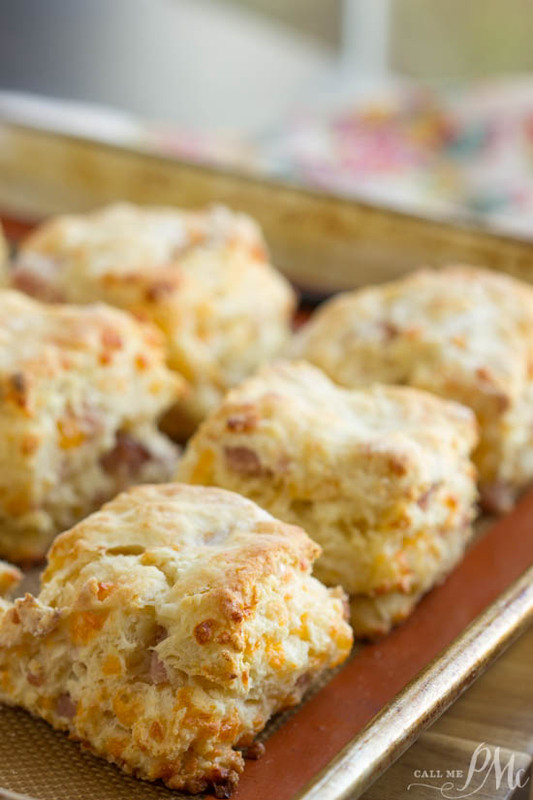 These biscuits are buttery, savory, and a well-deserved treat! 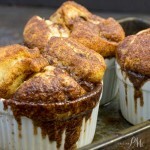 To a bowl, add flour, sugar, baking powder, salt, baking soda, cream cheese, and butter. Using a pastry cutter, mix ingredients until it resembles coarse meal. 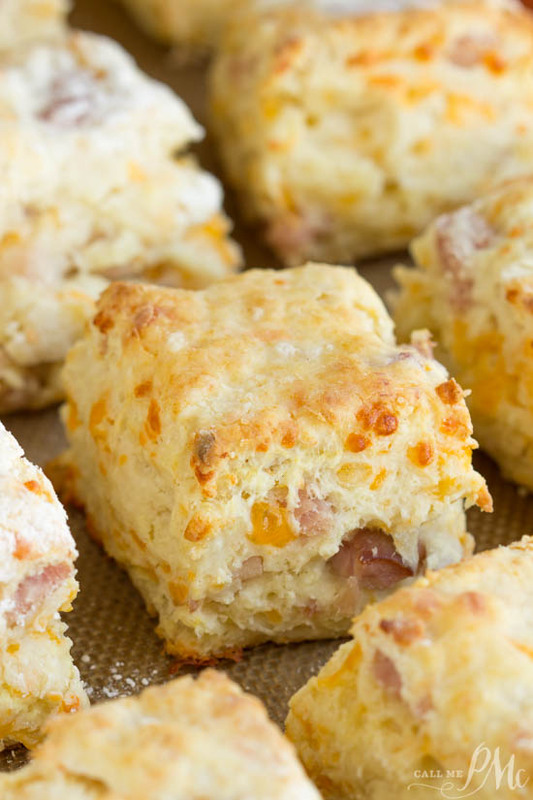 Stir in buttermilk, ham, and cheese until combined. This dough will appear dry. Turn dough out onto a lightly floured surface and knead 4 to 5 times until the dough comes together. Press dough into a 3/4 inch thick rectangle and cut into twelve 2-inch squares. Transfer to a baking sheet and bake until golden brown 12 to 15 minutes. How does one reheat these biscuits? I will take biscuits any day! These look soooooo good!